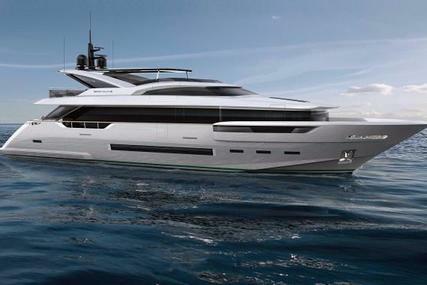 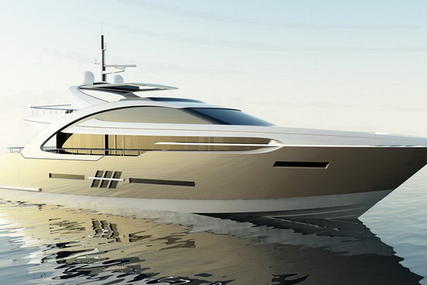 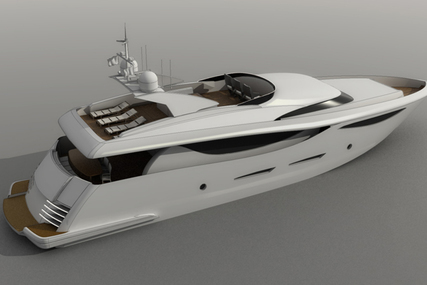 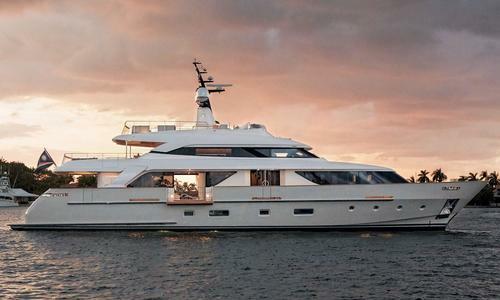 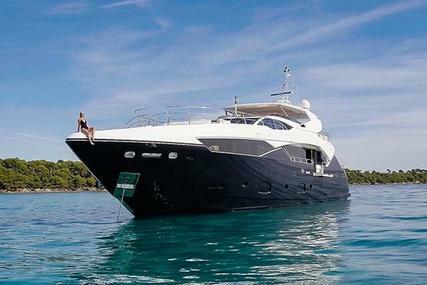 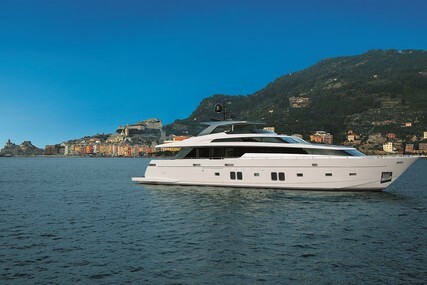 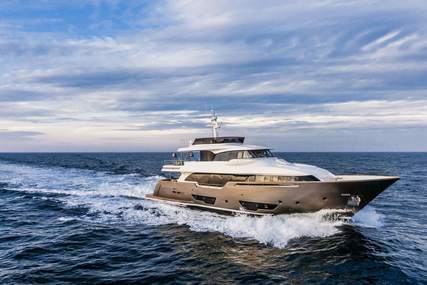 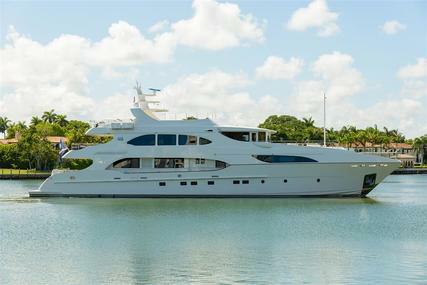 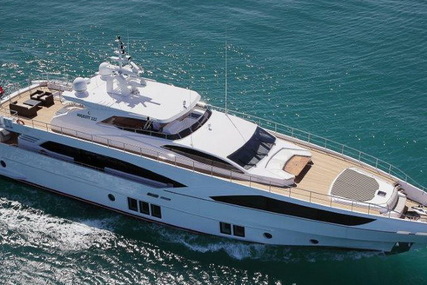 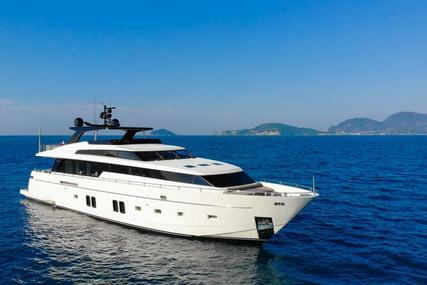 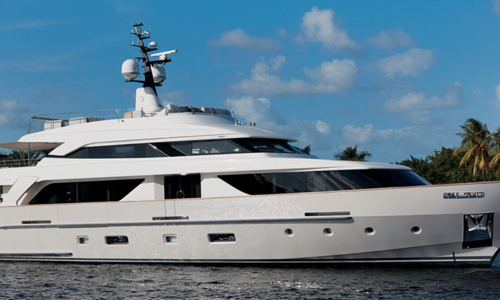 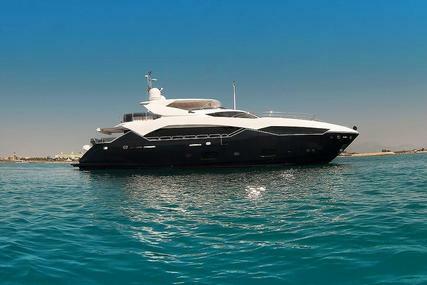 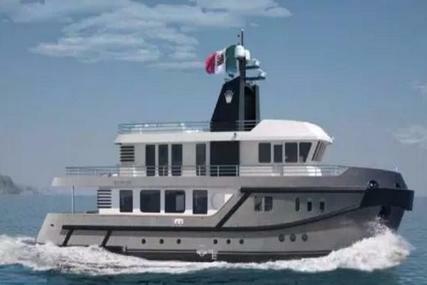 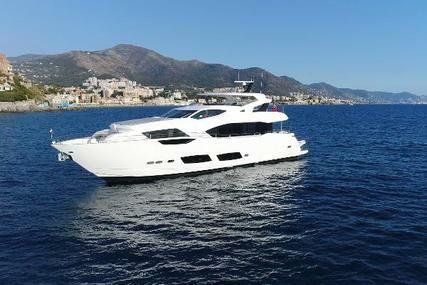 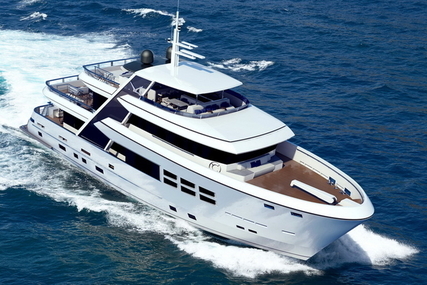 Sanlorenzo yacht SD112 #35 2014 for sale. 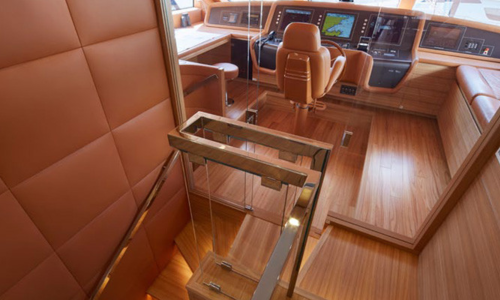 Satin Elm wood and leather interiors. 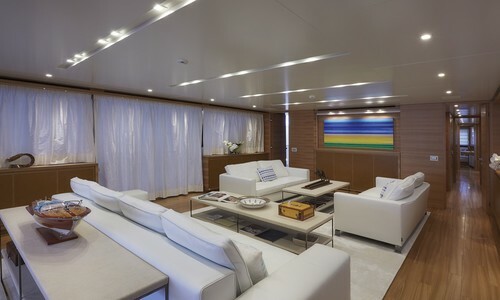 Main deck: saloon with 2 lateral doors, terraces and furniture - STBD hallway with door on side walkway, stairs to upper and lower deck - Day toilet - Master cabin in Bow area with furniture, vanity, 2 sofas, dressing and bathroom, with bath and shower - PBD hallway on side walkway, stairs to wheelhouse and dumb-waiter - kitchen with stairs to crew area. 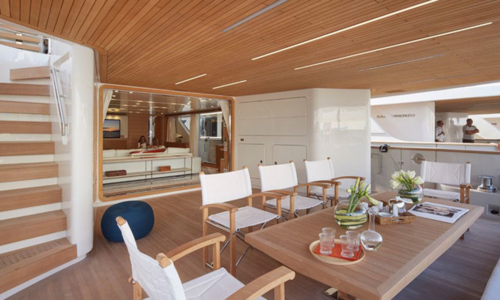 Upper deck: pilothouse with desk and sofa - saloon with furniture and dining table - lavatory area with sink and dumb-waiter - bathroom. 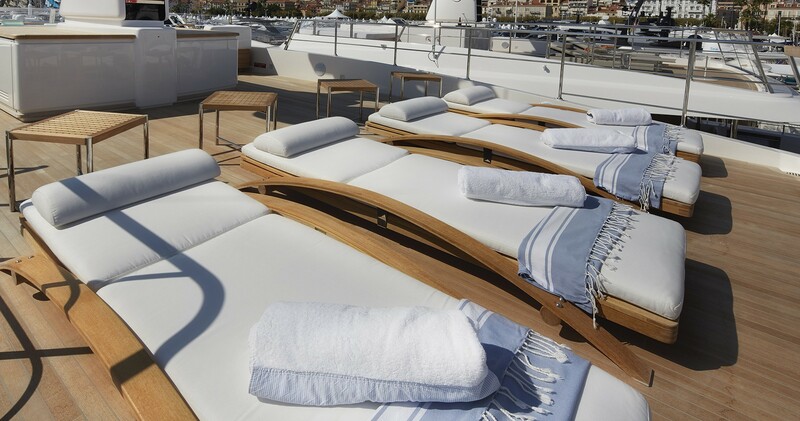 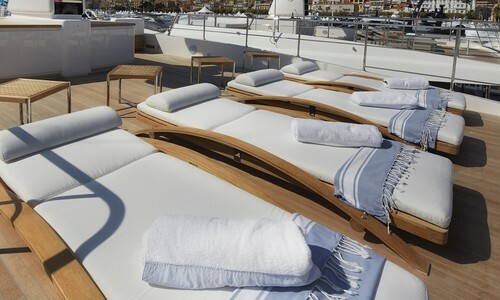 Sun deck: Jacuzzi - second control station and sunbathing area. 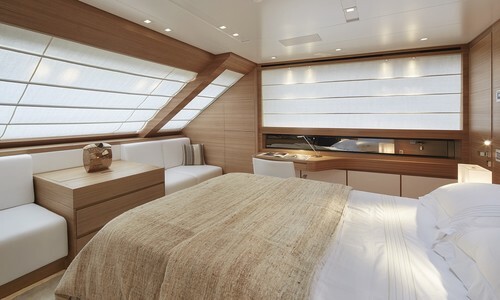 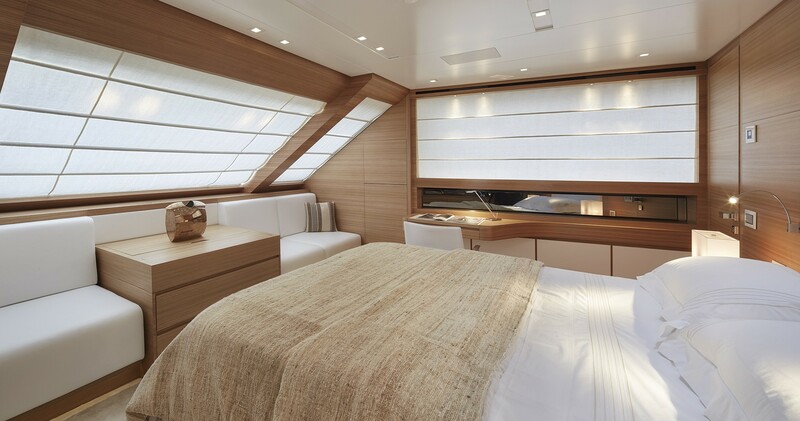 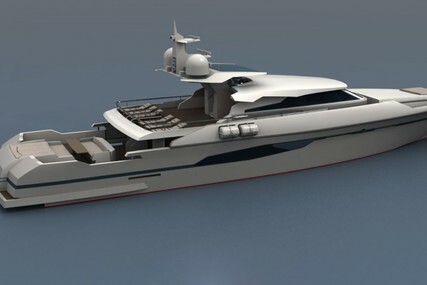 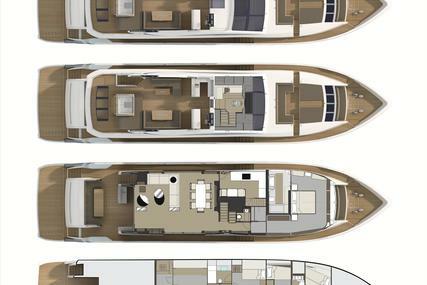 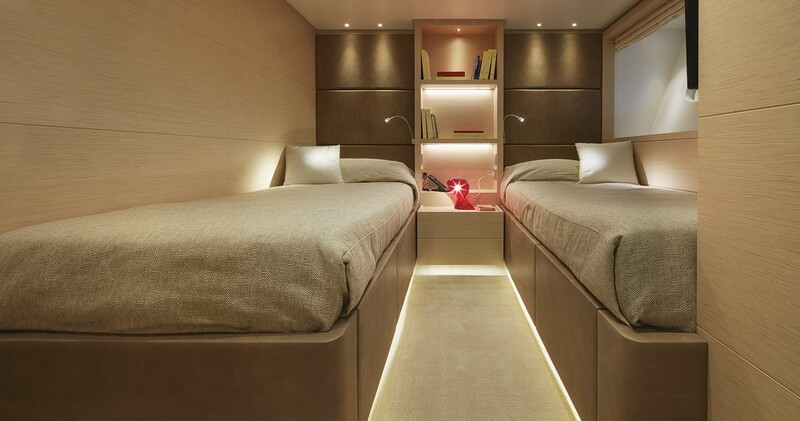 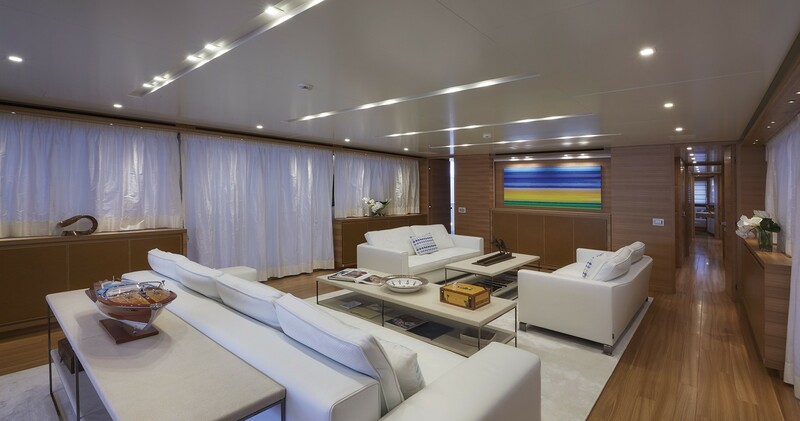 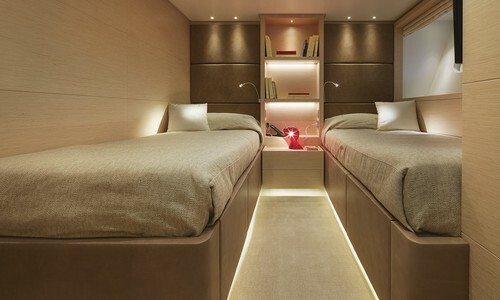 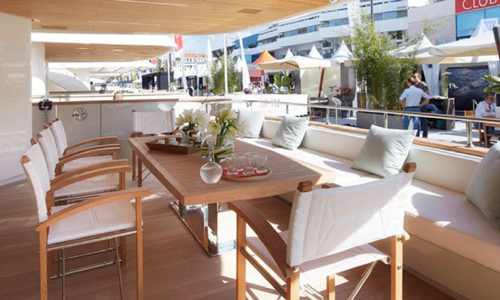 Lower deck: 2 VIP cabins with bathroom, 2 guests cabins with double beds and bathroom. 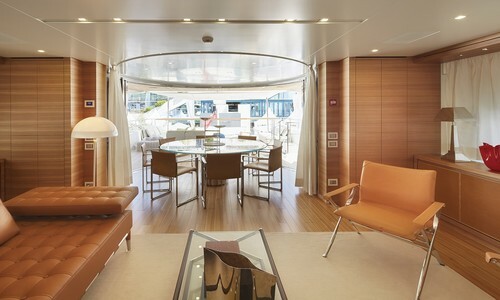 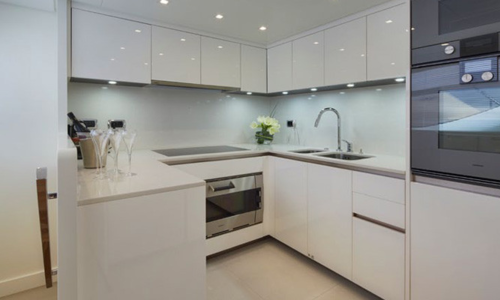 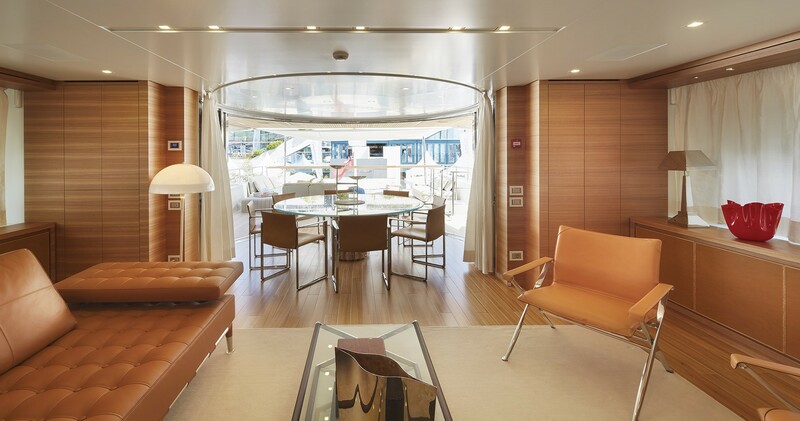 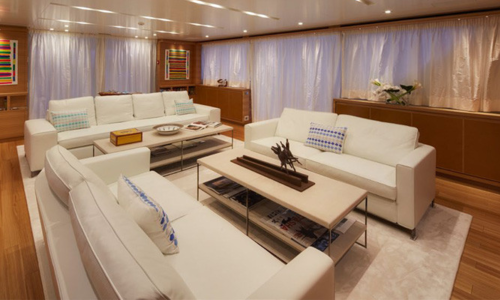 Crew area: dinette with furniture - Captain’s cabin with bathroom - 2 cabins with bunk beds with bathroom - Laundry.